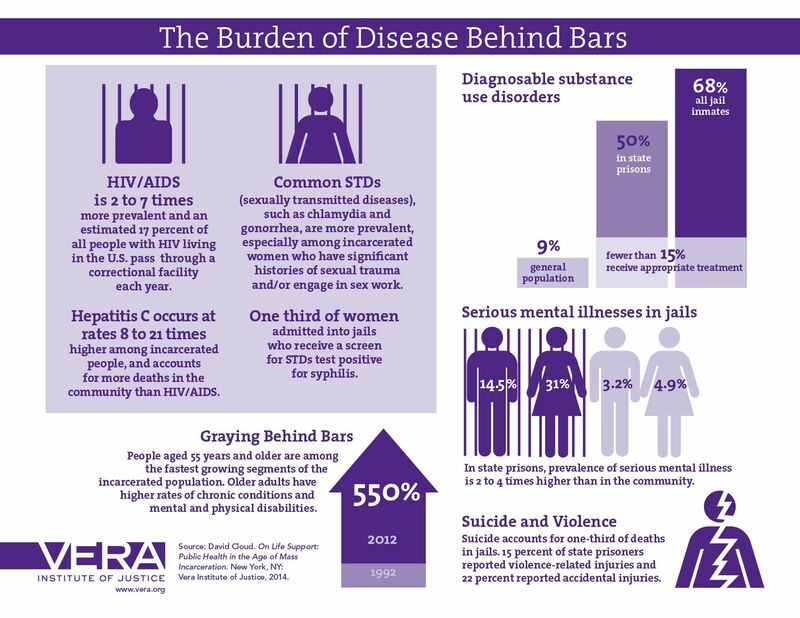 The key here is serious mental illness affects 31 percent of women in jails. Mental illness has a gender here, and it’s women. Somehow, that salient feature drops out of the various news reports, which focus on the warehousing and punishing of the poor for their poverty and often of people of color for their race and ethnicity. Women, mostly poor, mostly women of color, and an extraordinarily high number of whom are living with mental illnesses, are being piled into jails across the country, in increasing numbers and for longer periods of time. As the Vera report notes, the money that pays for this adventure comes from “the same pool of tax revenue that supports schools, transportation, and an array of other public services.” So, first cut the services that might help these women, then pop them in jail, and then, in order to pay the freight, cut the services even further. And for the quarter million children, who are left behind, show no mercy. Women haunt the entire prison project of the United States. Last month, California `celebrated’ its prison population dipping below the federally mandated level, which is 137.5 percent of capacity. So, the prison system is still overcrowded but not unconstitutionally so. The one exception here is the Central California Women’s Facility, the largest women’s prison in the world, built to house at most 2,000 prisoners. It currently has 3,383. That’s almost 170 percent of capacity, but it’s not cruel and unusual. It’s cruel and usual. The same is happening in the more than 3000 city and county jails across the country. It’s cruel and usual, and so it’s fine. End the epidemic of mass incarceration of women! We see you. Where are the women in this vision? On Tuesday, inmates at Fluvanna Correctional Center for Women reached a settlement with the Virginia women’s prison. In 2012, five prisoners, represented by the Legal Aid Justice Center, sued the prison, claiming that the medical care was so bad that it violated the U.S. Constitution’s ban on cruel and unusual punishment. Last week, a Federal judge extended the suit to a class action suit, covering all 1200 prisoners. The judge also ruled that hiring a contractor doesn’t absolve state prison officials of their responsibility to provide adequate health care. He further ruled that the women had serious medical needs. When the State heard that, they caved, and the settlement ensued. All of this happens under the title of “correction.” What exactly is the State “correcting” when it violates women’s rights, bodies, lives, hopes and dreams, and does so without compunction? What is the public policy here that condemns women on the basis of their gender? Want to end violence against women? 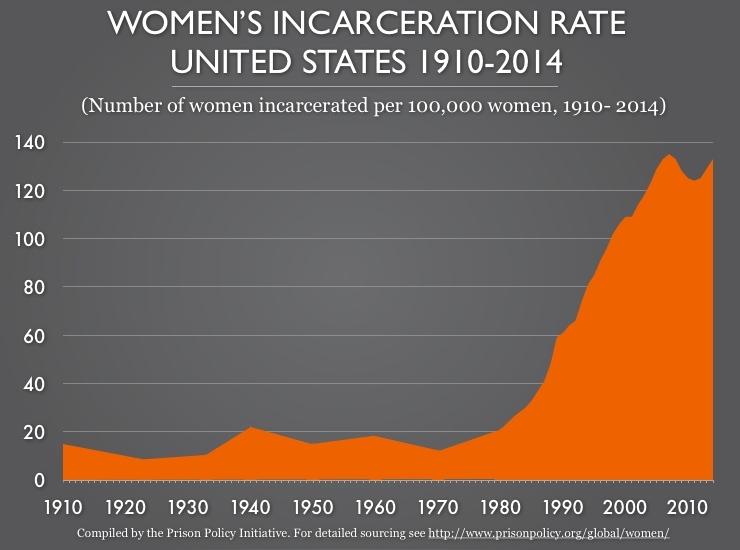 End the epidemic of mass incarceration of women. Do it now.